For Bravado, their hard work stemming from their move to North America in February this year has certainly worked in their favour. They gained valuable experience in a completely different environment and made big improvements in their play. Their title victory in ESEA Mountain Dew League Season 28 signified their ascent. Sadly, Season 29 didn’t quite go to plan. Bravado are by no means a top international side yet and they still have a lot that could be improved on, but they have come on in leaps and bounds this year and showed it in Sweden. The last time Bravado appeared at DreamHack Winter was in 2014 in the old days of direct invites to CS:GO Majors. That team got smashed by hometown villains, fnatic and the Americans of Cloud 9. Dimitri “Detrony” Hadjipaschali attended his second DreamHack Winter that year, having participated in the Quake tournament the year before. DreamHack Open Winter 2018, while no longer a Major, would be Detrony’s third attendance and would be an opportunity to redeem himself after a disastrous 2014 campaign. As it turned out, it would be more than he or the team could have imagined. Ahead of their opening matchup against the Danish Optic Gaming lineup, there was very little to suggest that they would have much of a chance. This would be a tougher opponent than their usual MDL opposition back in the USA. The stats and the quality of the individual players on Optic pointed to an easy victory over the South Africans. In a result that shocked the CS:GO world, Bravado pulled off the upset 16 – 14. The map pick of Dust II should have favoured the Danes, with them on a winning streak of six on the map up to that point despite only playing it sporadically. It ended up being a masterstroke to play Dust II. Bravado probably wouldn’t have had much of a chance on their two favoured map picks of Nuke and Inferno considering those maps are Optic’s bread and butter. Rhys “Fadey” Armstrong had an incredible first half on the Terrorist side and could seemingly get multikill entries at will, contributing strongly to a 10 – 5 halftime lead. CT side didn’t quite go as well and saw Optic coming back strongly. Bravado however managed to hold on and close it out, with great performances also coming in from Aran “Sonic” Groesbeek and Johnny “JT” Theodosiou. Against G2 Esports, the newly reshaped French side seemed happy to play Nuke. Something Bravado would have been rather pleased about. Another strong T side from the boys in blue meant a solid six rounds, which put them in a good position going into the second half. Things didn’t go all their own way however. At one point the score was 6 – 12 after a great start to the second half by G2. Bravado showed some incredible composure, in stark contrast to previous international appearances, to come back and take the match 16 – 13. This in my mind signified their development during their stay in America. Make no mistake, this was another huge win. Again, flying in the face of the odds. The Semi-Final against fellow tournament underdogs x6tence Galaxy was really anyone’s game. The Swedish side had also had an impressive run in the tournament to get that far. The pundits still gave the edge to the Swedes, but it was not as cut and dried a call in the favour of the opposition as the previous matches had looked on paper, with the relative inexperience of the new Swedish side certainly helping BVD’s prospects. Bravado came out swinging and demolished them on Nuke. Inferno went to overtime, with x6tence’s nawwk having the map of his life with 40 kills to keep his team in it. Thankfully for South African hopes that didn’t continue in overtime and saw BVD close it out 19 – 17. Bravado got a dream map veto and did well to end the match 2 – 0 and avoid a potential banana peel in the deciding map being Overpass. That set up the first ever Grand Final appearance at an international LAN for an African team! The final hurdle would prove to be too great, as the Finnish side ENCE simply smothered Bravado on both maps. Train saw some miraculous eco round wins from BVD and a few encouraging signs, but ultimately wasn’t even as close at the 9 – 16 scoreline might have suggested. On BVD’s map pick, Inferno they weren’t able to repeat the same degree of success on T side that they had against x6tence. The Swedes had struggled to deal with BVD’s aggression every round in banana and often surrendered the B bombsite. Starting out on the Terrorist side against ENCE saw them only find a single round win as the Finns fought them for banana control every round and denied them the platform to execute from. Bravado didn’t seem to be able to adjust to this and were eventually constricted out of the contest, going down 5 – 16 after a short-lived CT-side comeback. It was a disappointing Grand Final appearance and they would have hoped for more, but getting there in the first place was plenty. The best of one wins over an under-performing Optic and the brand new version of G2 were fantastic results. While this isn’t quite the case of beating the best in the world, it is certainly two very noteworthy victories over teams consisting of some incredible individual players like KennyS, Shox, K0nfig and cajunb. These were not two teams in their prime, which made them ripe for the upset and helped make the wins possible. Bravado did everything they needed to do to take advantage and managed to perform wonderfully on the server. JT’s excellent mid-round calling was a feature of their Terrorist play and contributed greatly to their success, while his individual level didn’t suffer too much. Fadey had one of his best individual performances ever and his success on entry made a lot of the round wins possible. Detrony and Elusive both managed to win some crucial clutches and were solid throughout. Sonic generally started slow, but managed to make a big contribution overall and still ended as the best rated player for BVD. The x6tence Galaxy match, while very noteworthy a win by virtue of being a Semi-Final, was on paper their easiest potential matchup. One underdog run rushed headlong into the other. That’s the match that prior to the tournament Bravado would have been most confident of winning. They did and the rest, is as they say, history. In the Grand Final, they met their first well-established and structured European side of the tournament. ENCE were probably the most fundamentally solid team in the tournament. They did BVD a big favour by losing to G2 in the BO1 stage, which made Bravado’s run somewhat easier. Unfortunately in the final, they played to their usual level and did the boys in blue no favours. DreamHack Winter Open 2018 is not a top tier event. The DreamHack Masters events are for teams like Astralis and Na`Vi, while Open caters more to the Tier Two and Tier Three scene. It did however have good enough teams on show to solidly showcase Bravado’s potential and allow them to put themselves and South African CS in the spotlight. Sonic said in his interview with HLTV that this tournament had put the name of South African CS on the map. It’s certainly done that! Everyone in South Africa that was supporting them all the way shared in that joy. Our teams and our scene will in the future be able to look back at this and be able to point at it as a turning point for our scene. For Bravado themselves, they need to back this up with another solid result on LAN. 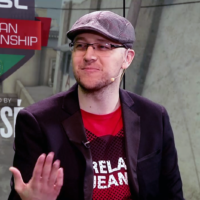 That way nobody in the international scene can point to the quality of opponents at DreamHack or say it was merely two best of ones and a best of three over a new team that got them to the final. They can’t allow this to be a one-off. It’s a miracle run if it happens once. It’s a legitimate result in the eyes of the world scene if they can do well again. If they manage to make it past both versions of Energy this weekend at the WESG South African Qualifiers Playoffs, they will have their next opportunity lined up. Bravado have shown what they’re capable of. Now it’s time show this same level of performance and prove that this wasn’t just a flash in the pan, but the rise of a new power on the world stage. As a South African, I’m sure I speak for all of us when I salute Bravado and say thank you for what you guys have done for our community. Well done boys!